Anyway, one of my favorite summer veggies is sitting in my fridge waiting to be used up so I decided to bake. Zucchini’s are in season from about May through about mid September so since we have a little bit of time to enjoy this veggie, I made something that will get your kiddos eating veggies. 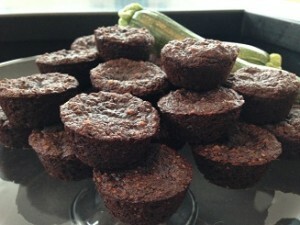 I made Chocolate Zucchini Bread Bites! And since September is National Childhood Obesity Awareness Month, let’s get them in on the fun and the kitchen! 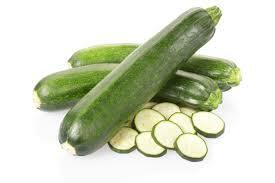 Zucchini’s contain more potassium than a banana, are rich in fiber as well as antioxidants. Add in a healthy dose of Vitamin A & C as well as manganese and you have an all star veggie! Preparation: Start by preheating your oven to 350 degrees. In a bowl stir all of your dry ingredients together until completely combined. Next, combine all of your wet ingredients in a separate bowl until combined as well. Create a well in the center of your dry ingredients and pour in the wet. Fold the dry and wet ingredients until a batter is formed but making sure not to over mix. Next add in the grated zucchini, then the chocolate chips until everything is incorporated. Take a mini muffin tin and spray it with a non-stick cooking spray and fill the tins about 3/4 full. Bake for 18-22 minutes or until an inserted toothpick comes out clean. This recipe will yield 24 bites. This sweet treat is so nutrient dense, you won’t even think twice about giving it to your kiddos! Coconut sugar is low glycemic, cacao powder is minimally processed so it retains much of the magnesium and iron. Couple that with the nutrients in the zucchini, the Omega 3s from the flax, super healthy fat from the coconut oil, not to mention this is a gluten free recipe. What’s not to love? These zucchini bites are great for a small afternoon snack or as a sweet treat to pack in their lunch or post dinner.